BANGKOK — Shares have fallen in Asia after China reportedly rebuffed a plan for talks with the U.S. on resolving their dispute over trade and technology. The slow start to the week followed a mixed close Friday on Wall Street, where an afternoon sell-off erased modest gains for the S&P 500 that had the benchmark index on track to eke out its own record high for much of the day. 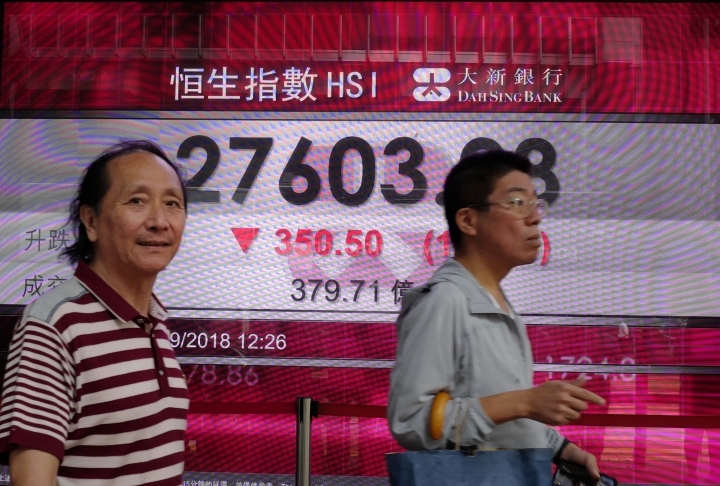 KEEPING SCORE: Hong Kong's Hang Seng index fell 1.3 percent to 27,603.08 and Australia's S&P ASX 200 was flat at 6,192.80. India's Sensex gave up 0.4 percent to 36,681.91. 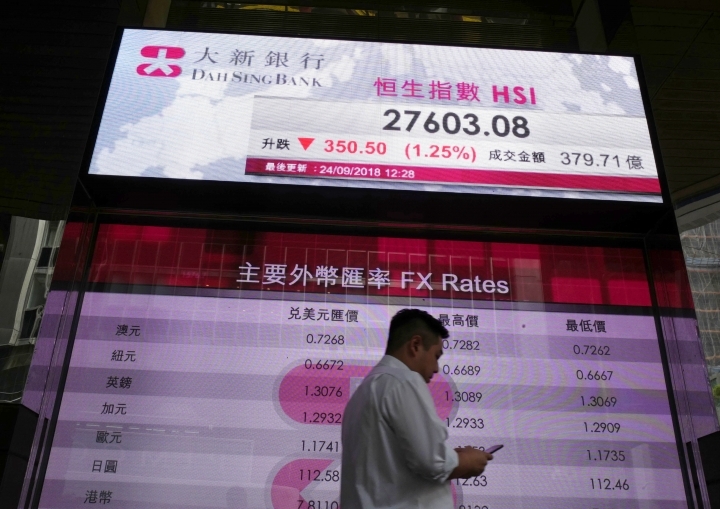 Shares rose in Singapore but fell in Indonesia. Markets in Japan, South Korea, Shanghai and elsewhere in the region were closed for national holidays. CHINA-US-TRADE: There was no sign that trade talks between Washington and Beijing would go ahead. Meanwhile, the hotline of China's General Administration of Customs said Monday that a tariff increase planned for noon had taken effect. The two sides have announced penalty tariffs on tens of billions of dollars' worth of each other's exports in an escalating dispute over Beijing's state-led technology development and other policies. WALL STREET: Wall Street capped a milestone-setting week Friday with a mixed finish for the major U.S. stock indexes and the second all-time high in two days for the Dow Jones Industrial Average. The S&P 500 index dropped 1.08 points on Friday to 2,929.67, just under its latest all-time high set a day earlier. The Dow gained 0.3 percent to 26,743.50, thanks largely to gains in Boeing and McDonald's. 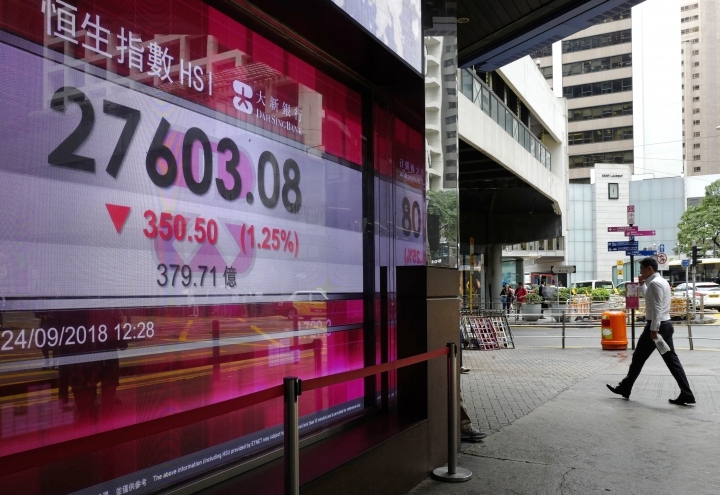 The Nasdaq composite lost 0.5 percent, to 7,986.96. The Russell 2000 index of smaller companies gave up 0.5 percent to 1,712.32. ENERGY: Benchmark U.S. crude picked up 81 cents to $71.59 per barrel in electronic trading on the New York Mercantile Exchange. It gained 0.7 percent to settle at $70.78 a barrel Friday in New York. Brent crude, used to price international oils, added $1.01 to $79.25 per barrel. 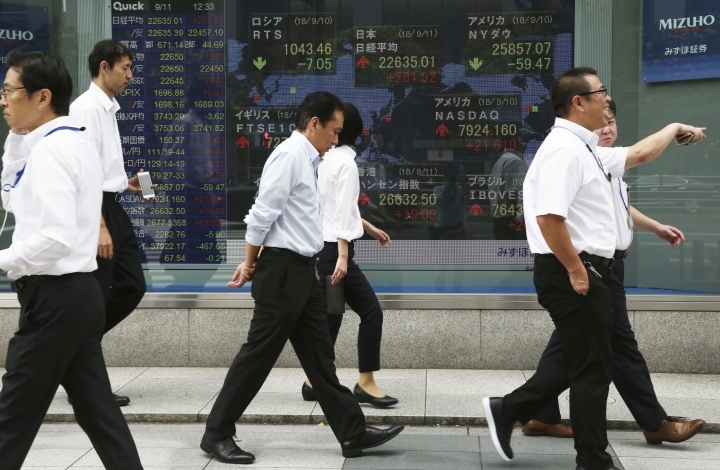 CURRENCIES: The dollar was trading at 112.59 yen, almost unchanged from Friday's 112.60 yen. The euro edged down to $1.1742 from $1.1752. The British pound rose to $1.3078 from $1.3072.